On February 22nd over 100 people came together to attend this unique event, which was held at the Dorothy Flemming Lecture Theater, Sheffield Hallam University. The event was opened by Sarah Blackmore, of Social Work England and compared by Alison Haywood, Service User Lead for Sheffield University. 14 films from across the partnership from both childrens’ and adult service users. 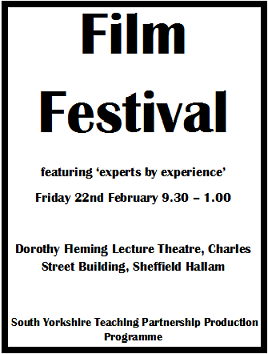 I had the pleasure of being invited to a film festival held in Sheffield at the Dorothy Fleming Lecture Theatre, kindly made available by Sheffield Hallam University. I had no idea what films were to be shown, I was only aware that the films were the brain child’s of “experts by experience” i.e. 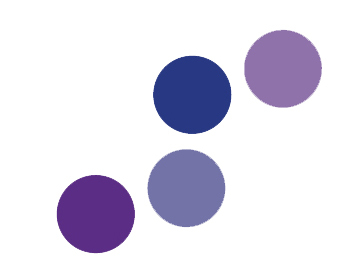 local and regional service users and carers. There were 14 short films in total ranging from just a few minutes to around 15 minutes. As a foster carer I was particularly looking forward to the films presented by children and young people. I really wasn’t disappointed. Four films from Sheffield Young Carers really brought home to me how wonderful these kids really are. There are children as young as 5 (yes 5!) who are carrying out caring roles in their family life. These kids and young people are also going to school/college and have little or no “normal life” experiences that many of our kids have. They are real heroes. There was a great film from the Rotherham Children’s Service which highlighted the importance of personal possessions that kids coming into care bring with them. They are important reminders of where they come from, family memories and who they are. How poignant were the messages from this film. A film from Lincolnshire Children’s Services depicted a single mom with 4 children, one of whom had autism. The mom had in the past suffered from a small stroke and had struggled to cope with looking after her family. Up stepped the kids who made lots of personal sacrifices to care for each other, cleaning, cooking, looking after the child with autism and still maintaining their education. They were all clearly under pressure and stressed but they so cared for their mom and each other. Wonderful bunch. Sheffield Children in Care Council’s film “Messages for Social Workers” focused around how children and young people expect their social worker to behave. It’s not what you do it’s the way that you do it. The outcome from the film was that 10 Golden Rules for social workers were produced by the Care Council. The second half of the Film Festival showed films dealing with issues faced by adults and services available for them. As if the films weren’t enough, there was popcorn at the interval and a really nice buffet at the end enabling plenty of networking and finding out more about the people behind the films.